Insert documents you need to see quickly between the transparent acrylic sheets for quick reference. Both sides remain visible between clear panels, designed to protect sheets from weather and wear. High-friction rubber grips hold letter size papers securely in place. 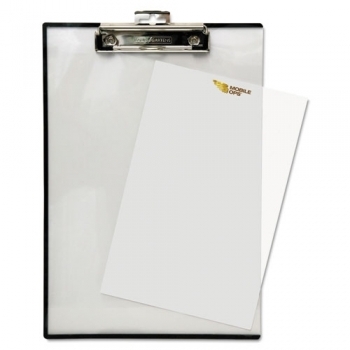 Clipboard includes a retractable hanging hole.